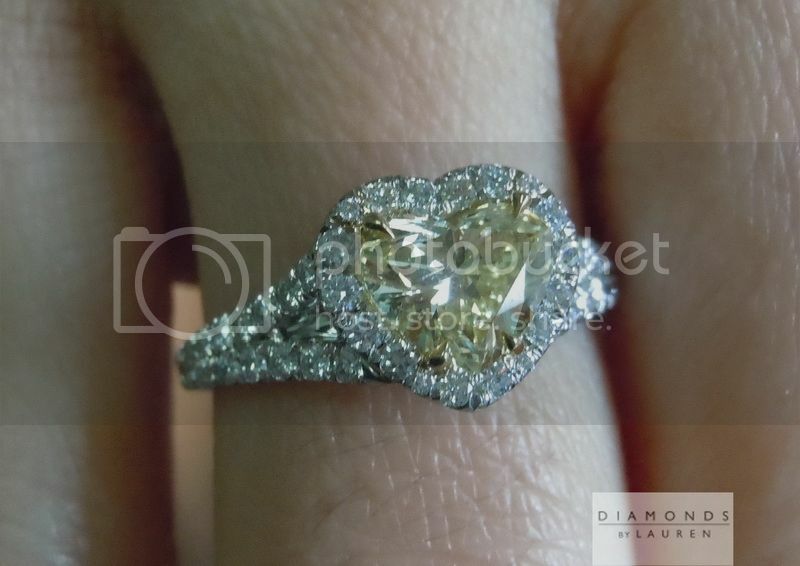 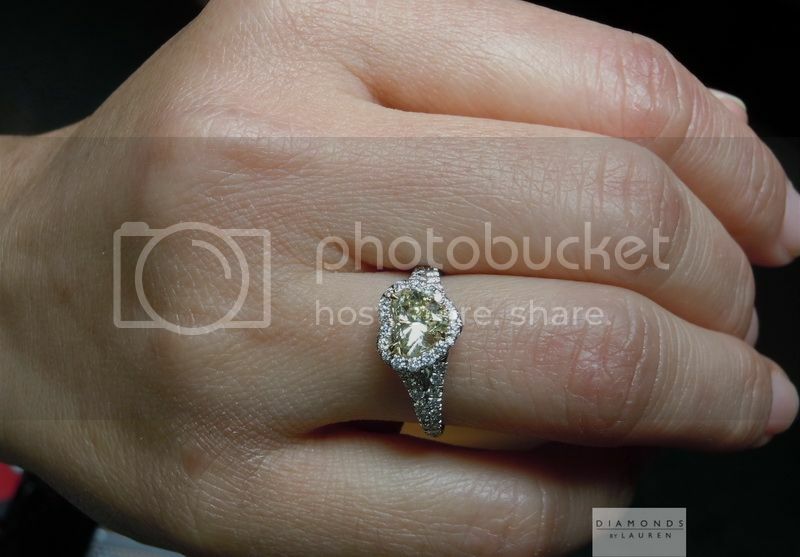 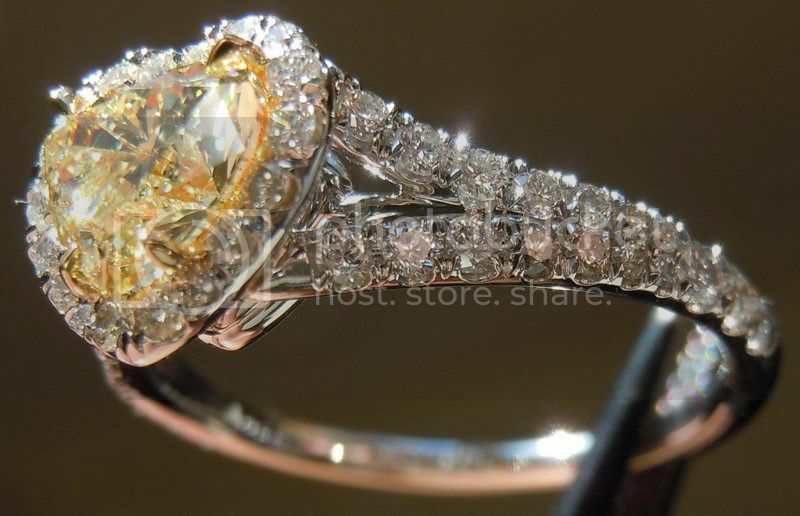 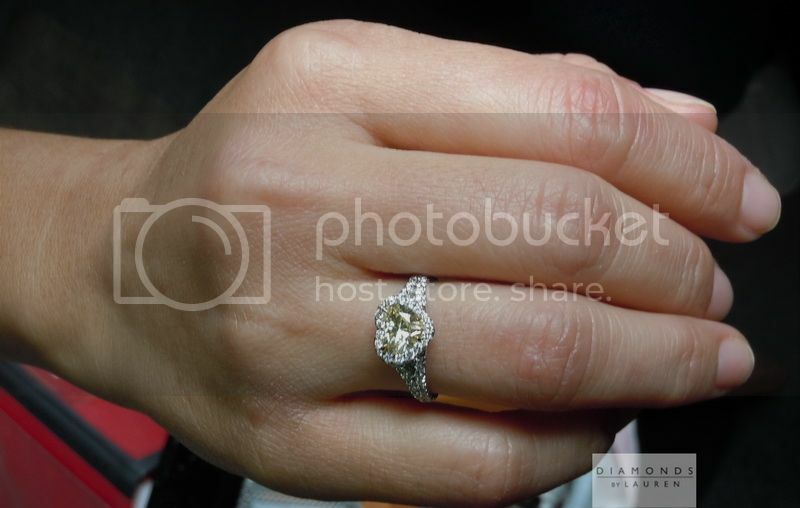 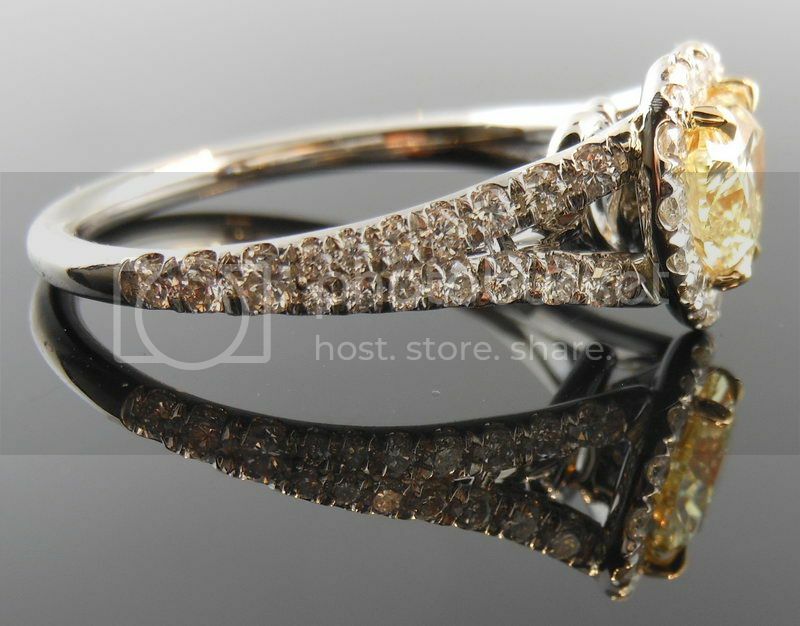 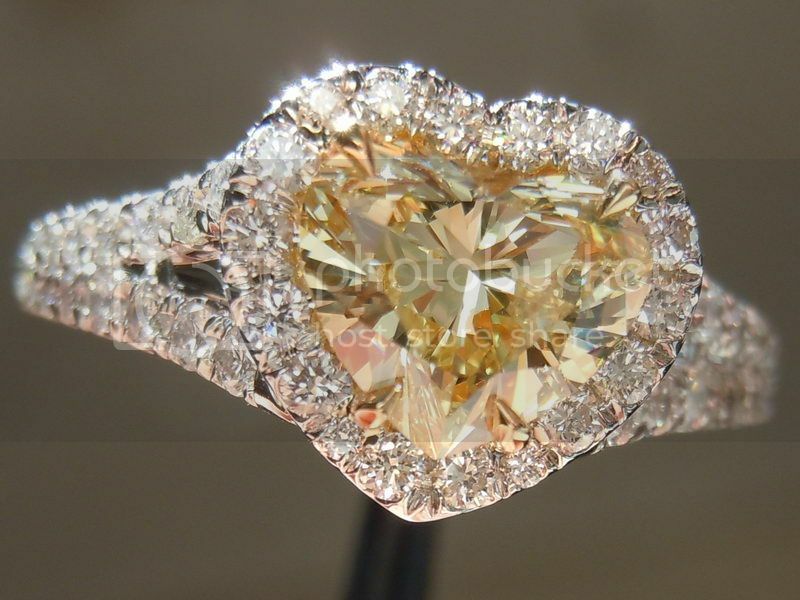 Here is a stunning halo diamond ring. 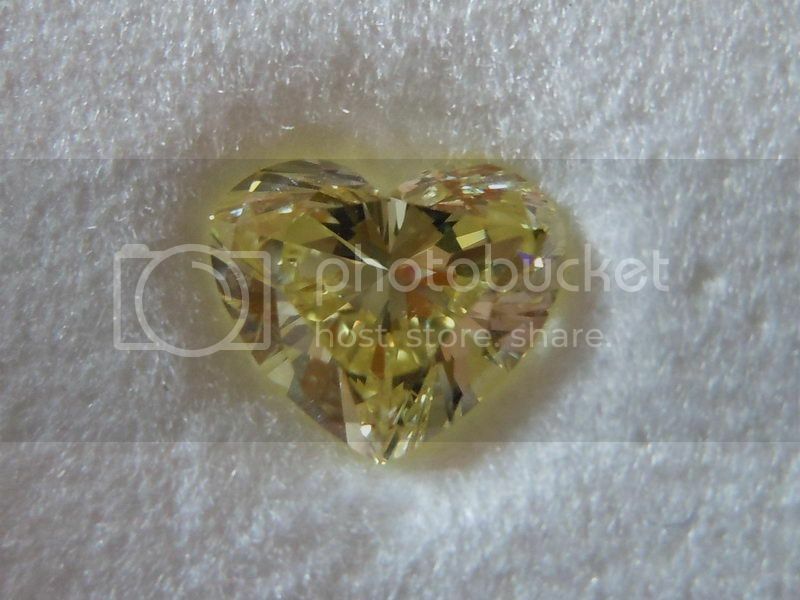 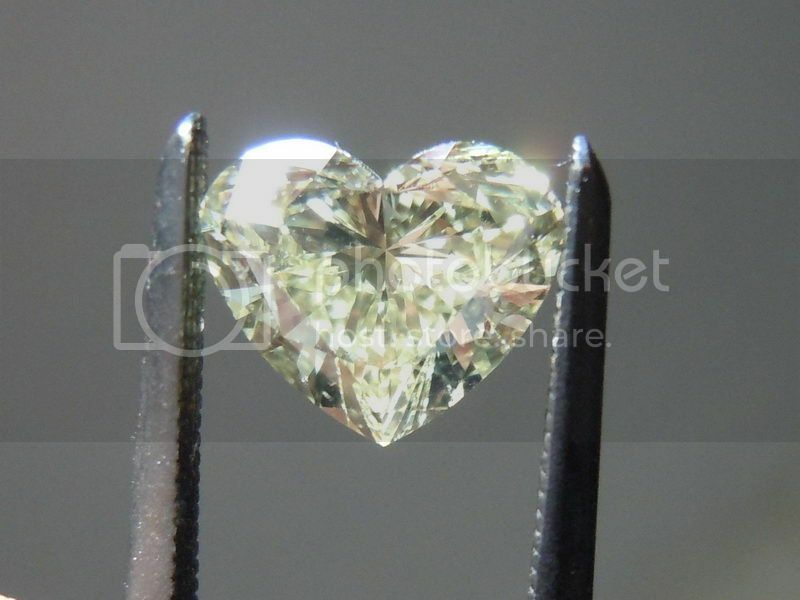 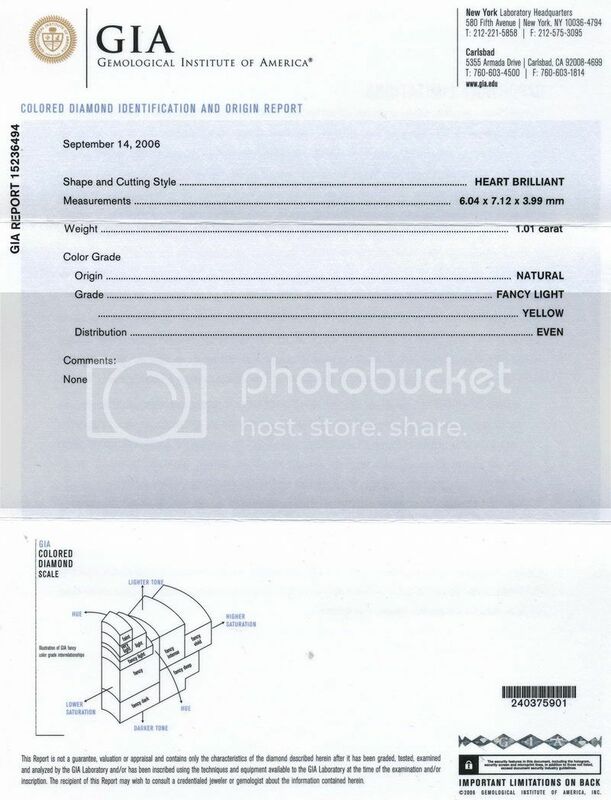 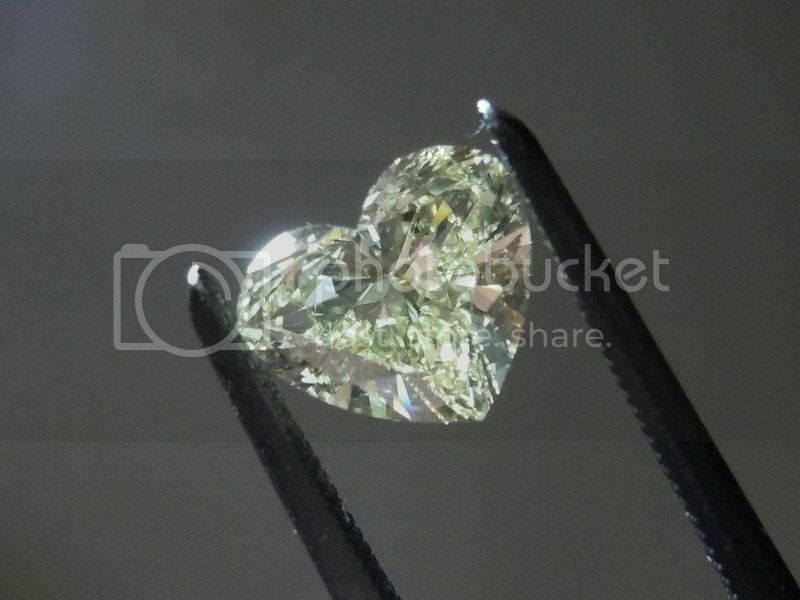 Center stage is a lovely heart shape diamond. 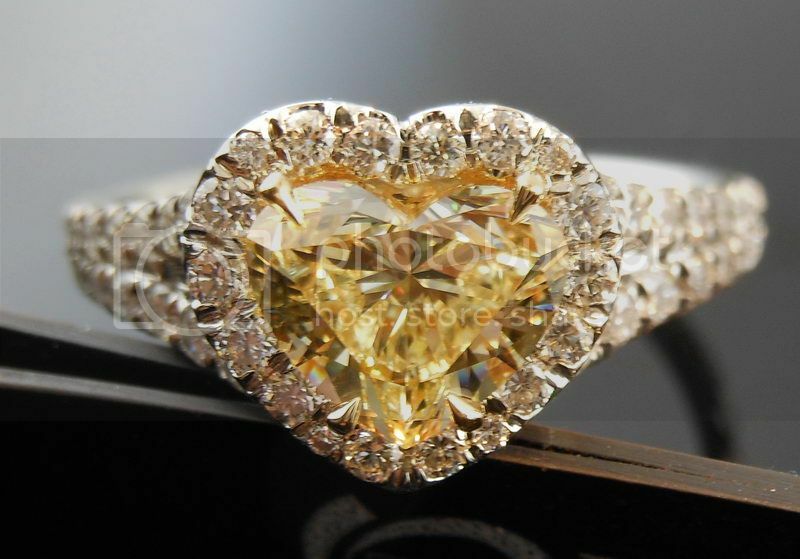 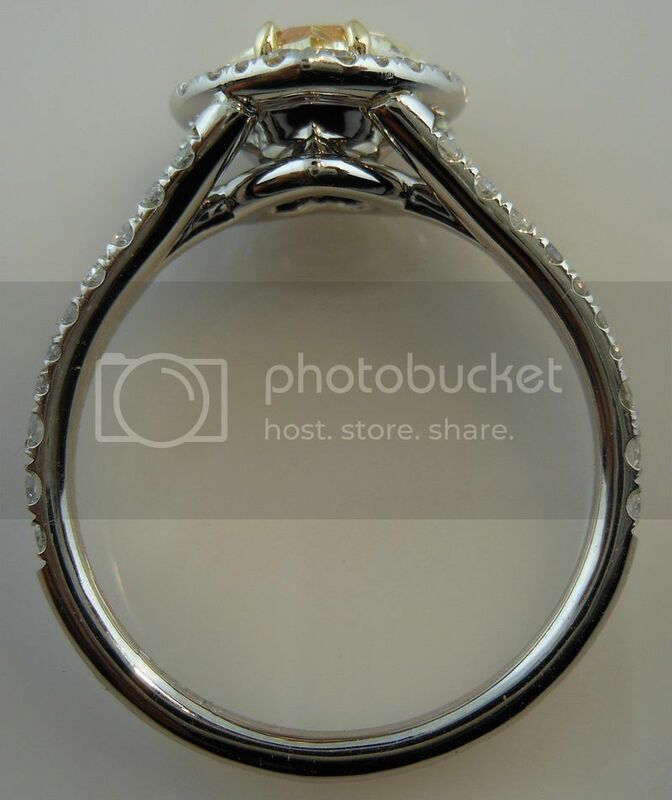 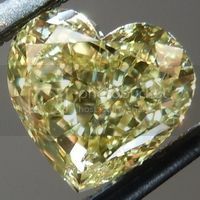 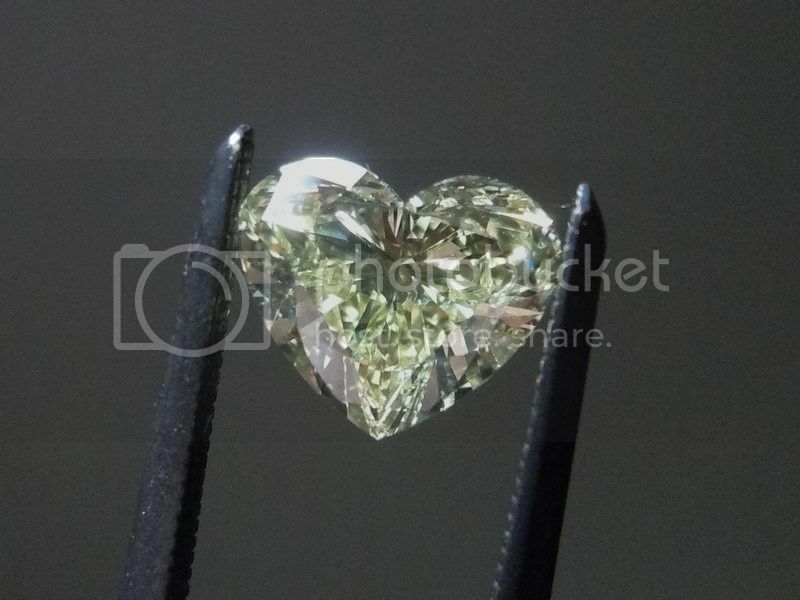 The stone is a very nice traditional heart shape with a very well defined cleft. 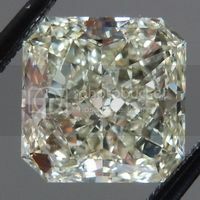 The cut on this stone is beautiful - full of brilliance. 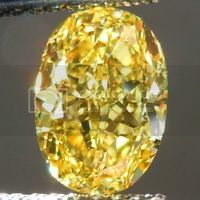 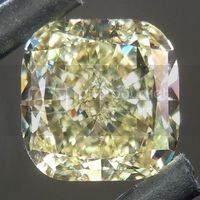 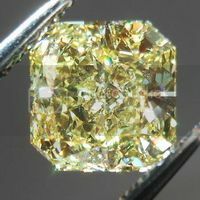 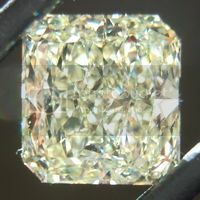 The medium blue fluorescence has very little effect on the color of this stone, but it does have a strong color for Fancy Light Yellow in normal room lighting. 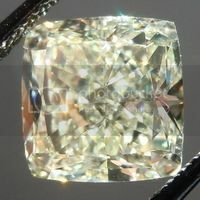 We have given this stone the clarity grade of SI1. 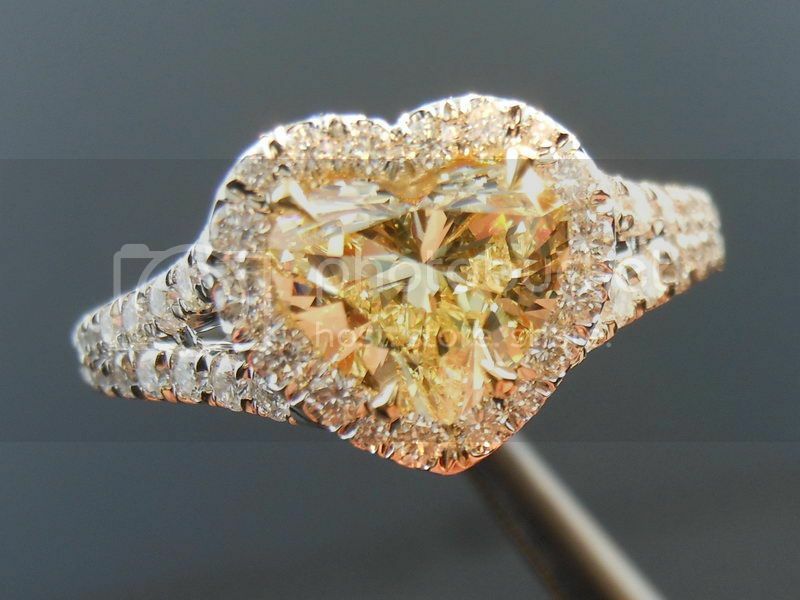 The setting is beautifully done. 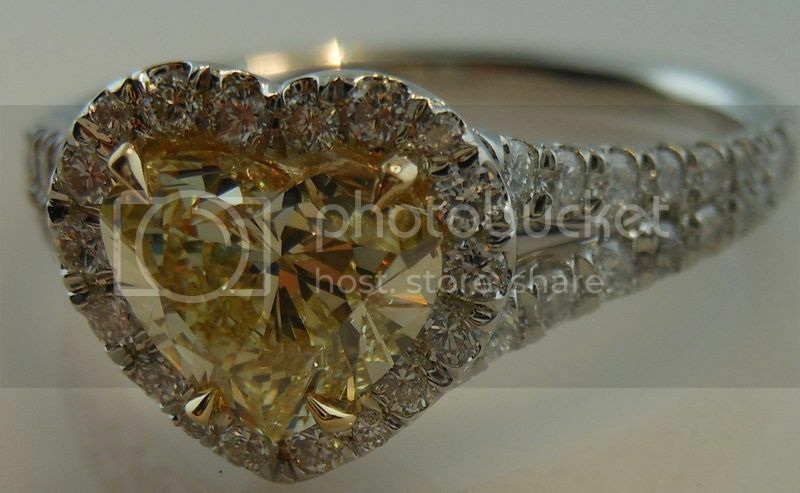 The wonderful workmanship is evident - very clean work and lovely shaped prongs. 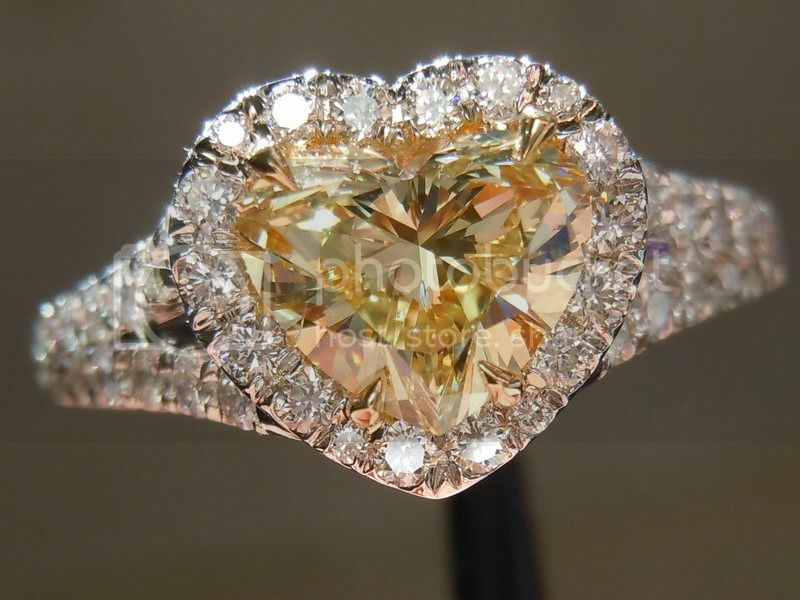 The halo framed the heart perfectly. 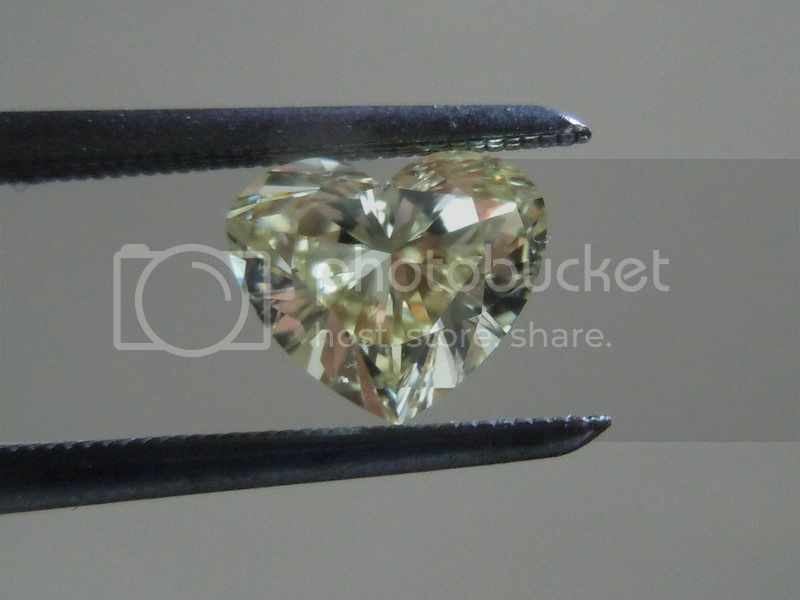 Now set, the heart diamond looks even more vibrant than before.